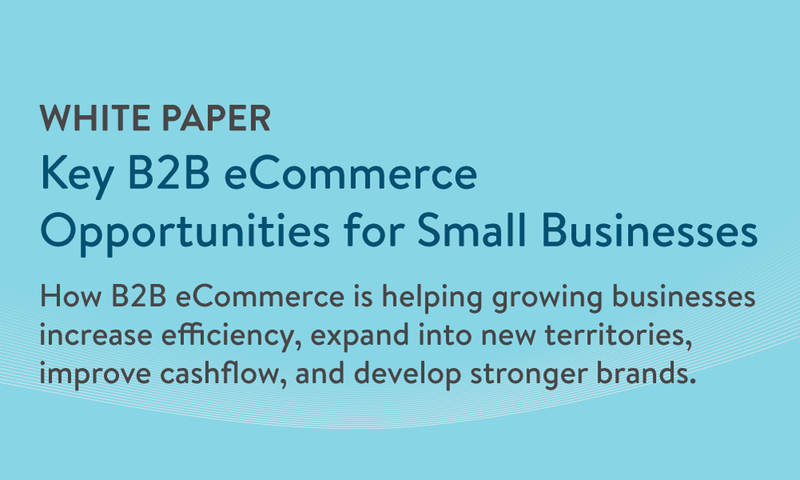 Among small and medium businesses (SMBs), B2B eCommerce presents a huge opportunity to scale growth, and off-the-shelf B2B eCommerce solutions -- easily implemented by businesses large and small alike -- are lowering barriers to entry. 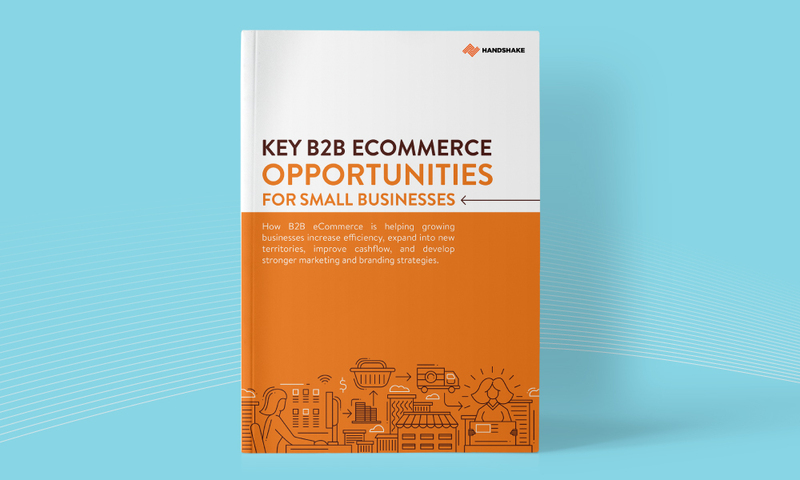 This white paper covers key B2B eCommerce opportunities for SMBs in the areas of efficiency, expansion, marketing, cashflow management, and branding. It also includes several examples of SMB manufacturers and distributors who have successfully leveraged B2B eCommerce to take their businesses to the next level. The specific sales & operational challenges that SMBs face. The 5 key B2B eCommerce opportunities for small businesses, including expanding reach, better marketing & steadier cash flow. Real-life examples of SMBs finding great success with B2B eCommerce.